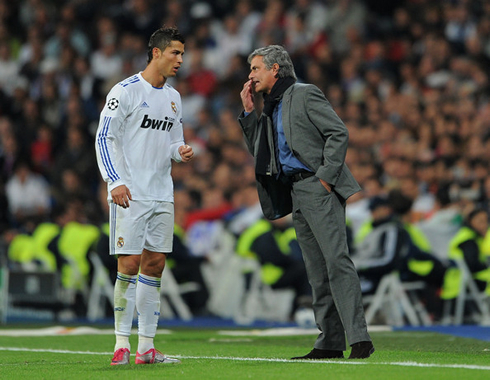 ﻿ José Mourinho: "It will be outrageous if Cristiano Ronaldo doesn't win the Balon d'Or"
03.12.2012 » Mourinho: "It will be outrageous if Ronaldo doesn't win the Balon d'Or"
Ever since José Mourinho landed in Madrid back in 2010, the "Special One" has been one the fiercest defenders of Cristiano Ronaldo. The Portuguese manager talked to "A Bola TV" and said that it would be inconceivable if Ronaldo doesn't win the FIFA Balon d'Or 2012. The awards' gala will take place next January 7 (2013), in Zurich. 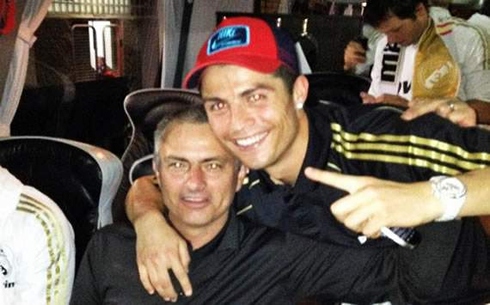 José Mourinho has conceded an interview to the Portuguese network "A Bola TV" in mid-November, on which he strengthened his support for Cristiano Ronaldo to win the forthcoming FIFA Balon d'Or 2012. The Real Madrid manager had no problems in recognizing that Barcelona's prodigal son Lionel Messi, is alongside with Ronaldo from another planet, as they both are on a total different level from all others in the game. 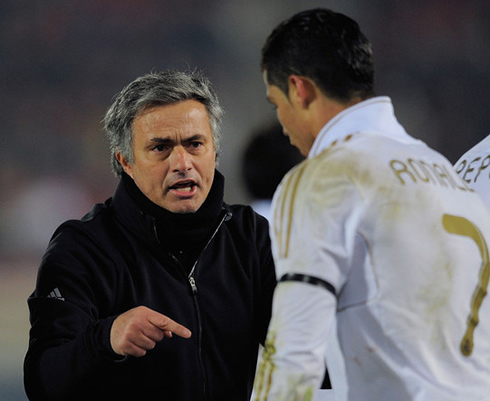 However, when it comes to pick one of them as the "Best Player in the World in 2012", Mourinho clearly leans towards CR7 and justifies his choice with the undeniable influence and preponderance that Ronaldo had in Real Madrid, when he led his team to win the Spanish League last season. At this point of the year, those who continue claiming that Lionel Messi deserves to win his 4th consecutive FIFA Balon d'Or, either are intentionally ignoring that he didn't win any major title in 2012, or simply prefer to stick with the Argentinian's strongest argument: an incredible goal tally over the 2012 calendary year, with a total of 84 goals scored so far (until the 1st of December). Messi is currently just one goal behind the German Gerd Müller's all-time record of 85 goals scored in a single calendar year (1972) and will most likely break that record in the upcoming weeks. 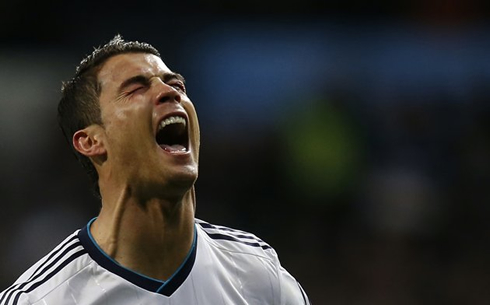 In the other hand and still regarding these particular stats, Cristiano Ronaldo has so far scored 58 goals on the 2012 calendar year, with his latest goal being his free-kick stunner against Atletico Madrid, this past Saturday (December 1, 2012). 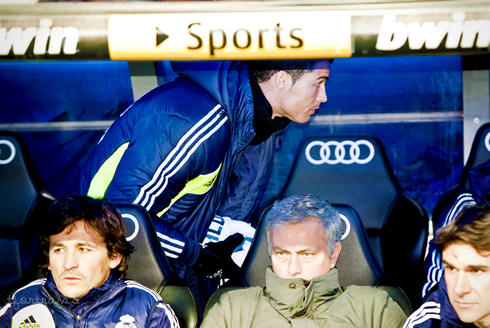 José Mourinho: "I think it would be outrageous if Cristiano Ronaldo doesn't win the FIFA Balon d'Or. In the other day I said that both Ronaldo and Messi are from another planet, and I have no problem in saying that again. Especially after they had such a great display in the last "Clasico", which has been one of the games with the highest audience numbers over the last years. 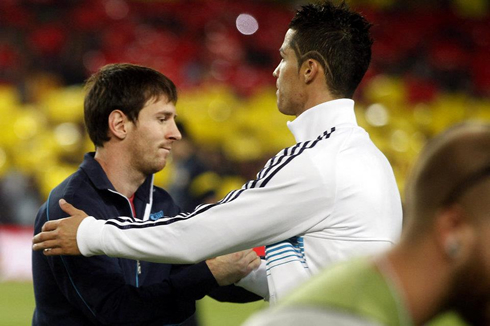 They both managed to be incredibly decisive for their own teams in that game, so my statements and praises about them being from another planet came as a sign of respect and fairness, not only to Ronaldo, but also to Messi", started by pointing out the Setúbal-born coach. 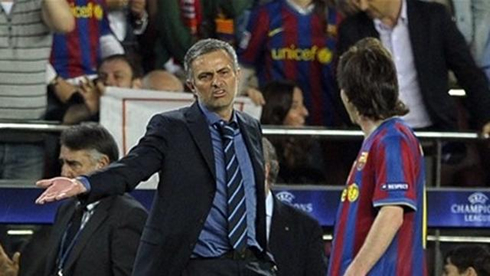 Mourinho: "However, when someone who has similar responsabilities as I have in this sport, comes out and say after that game that his player is the best in the planet, then I just had to fire back and reply that mine is the best in the Universe, because he wasn't born in Madeira but rather in Mars or something like that... I felt the responsability to pay tribute to two great players after such a great game, because I realize it must be hard for both Cristiano Ronaldo and Lionel Messi to hear that it's the other who is the best player in the World. 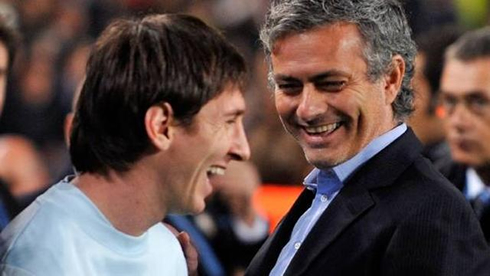 The truth is that they are both extraordinary", claimed the former Chelsea FC manager. 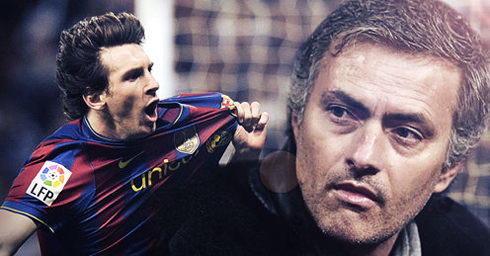 Mourinho: "I'll keep saying that it's harder to be Cristiano Ronaldo than it is to be Lionel Messi, and I'll tell you why... Messi has grown up on the same team where he plays now, with the same teammates that are still around him these days. 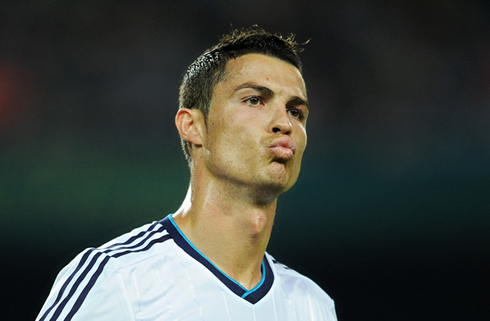 Ronaldo has been many years in England and then moved to a team here in Spain who didn't have the habit of winning. Over the last two years he had to grow up with a team that had just started to be built. 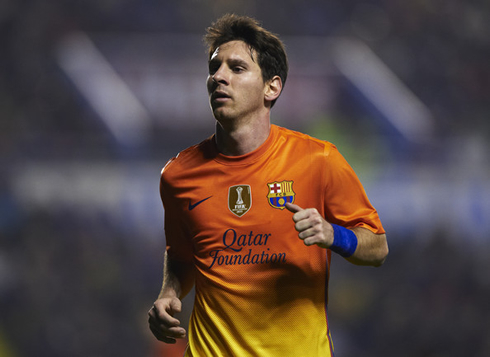 Messi, plays as a number 9, or maybe a 9 and a half, moves around in an area of only 50 square meters and where the distance to the opponent's goal is way shorter. 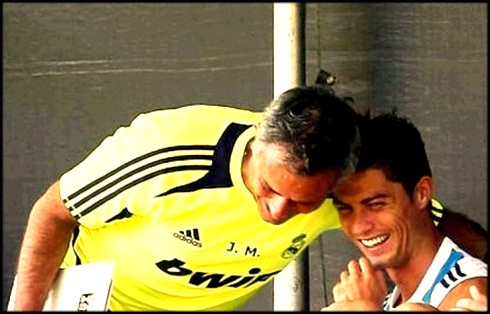 As for his defensive tasks, they barely exist..."
Mourinho: "Ronaldo plays close to the side line, he's a winger! How can a winger score as many goals as a number 9? A winger who also defends and who can finish a game making a sprint back to his own goal, in a long run chase to Pedrito (Barcelona player). A player who comes back to his own team's area to defend all set-pieces, because he's crucial to help us in all those moments of the game. A player who is never defended by anyone at all (alluding mainly to referees), because they probably look at the body and the size that the "animal" has and just allow all kind of tackles and hits to be made on him, until they finally decide to pull off the first yellow card. In the other hand, when it comes to Messi, it doesn't take much for the referees to immediatly punish a bad tackle and warn the opponents that they will be sent out if they do another. Therefore, it's much, much harder to be Cristiano Ronaldo than it is to be Lionel Messi", remarked the 49-years old manager. As for the FIFA Balon d'Or implicit criteria, the Real Madrid manager defends that it should simply be given to the player who had the best performances in a certain year and who turned out to be the most decisive for his own team's success. 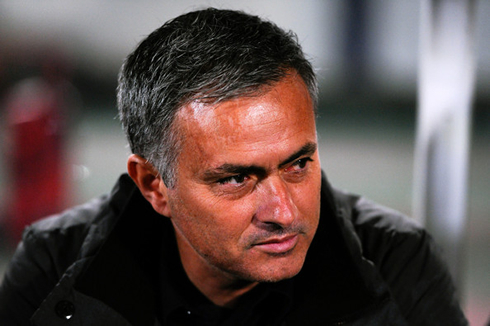 Mourinho: "We have to be serious about this. If people want to give Balon d'Ors and awards as a way of rewarding people for their highly respectful football careers, then we should create a different set of Balon d'Or trophies. Let's then give one of them to Didier Drogba, who carried Chelsea on his own back last season. Let's give another to Samuel Etoo, who won the UEFA Champions League with 3 different teams. And another to Clarence Seedorf, who also won the Champions League with 3 different clubs. Why not giving one to Zlatan Ibrahimovic too, who has won domestic leagues in Inter Milan, AC Milan, Juventus, Ajax, Barcelona... What about handing another to Javier Zanetti, who appears to be on his 20 when he's actually 40-years old. Bottom of line, we would have plenty of Balon d'Ors to give out", stated the 2-time European champion with FC Porto and Inter Milan. 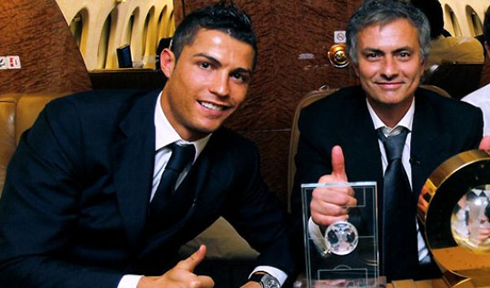 José Mourinho: "Now if we speak about Balon d'Ors that players deserve to win because they have been the best in the game, these days we can only give them to either Cristiano Ronaldo or Lionel Messi. 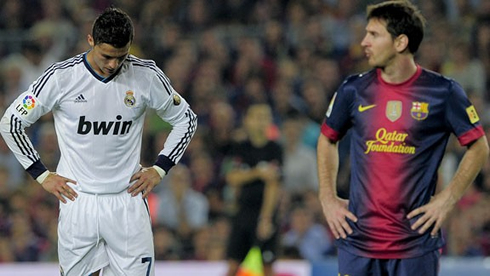 Now I would like to ask: if they are both at the same level, is it normal that one of them wins 4 Balon d'Or (Messi) while the other only has 1 (Ronaldo)? And there's also another important detail... Should someone win the FIFA Balon d'Or without having won any relevant team title? And please don't even mention the Intercontinental Cup (FIFA Club World Cup), which is a trophy I've never even wanted to play, as it doesn't matter at all to anyone. Let's not talk about Supercups either which are also minor accomplishments, but let's rather focus at the important trophies. 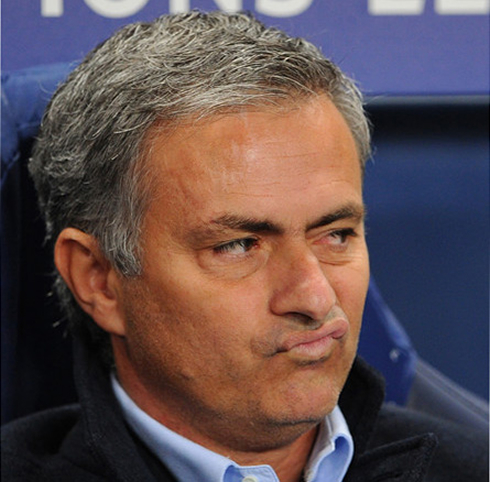 One was won by Chelsea (UEFA Champions League) and the other was won by Real Madrid (La Liga). Chelsea became European champion and Real Madrid has won the most important domestic league in Europe", pointed out the Merengues coach. 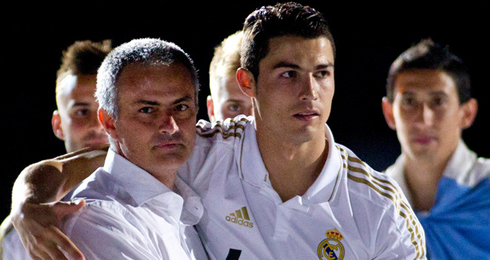 Mourinho: "So, if Cristiano Ronaldo doesn't win the FIFA Balon d'Or, it's probably because he's not always nice to everyone when he's in public, he doesn't sell his image very well, he doesn't grant interviews to say he's sorry for having had an argument with his own teammate on the pitch (referring to the Messi vs David Villa incident)... 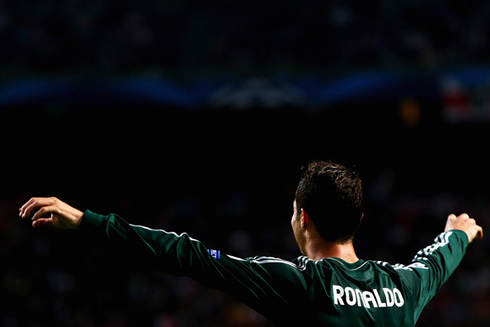 The Balon d'Or? 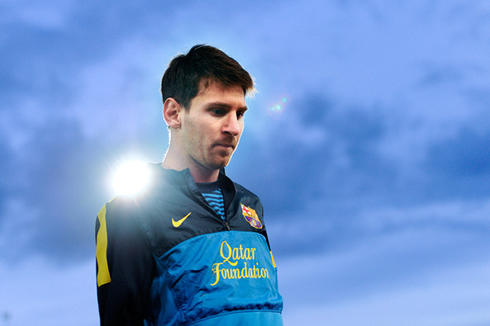 It should always be given to who has been the best player and to who has made the most to deserve it. 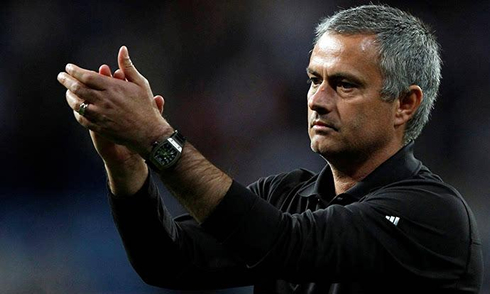 Over the last years, with the merge of France Football, FIFA and Balon d'Or into the same award, this trophy has achieved a bigger dimension and I can only say I'm sorry for not being able to vote, because I would have no doubts in who deserves it the most this year...", said Mourinho on his interview closure to "A Bola TV". 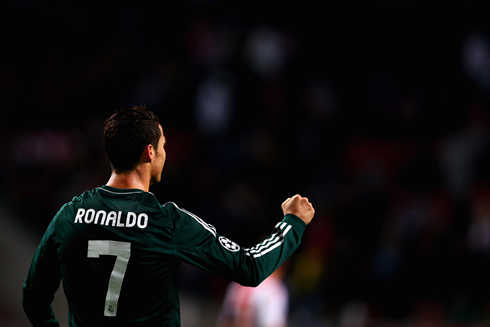 Cristiano Ronaldo next fixture for Real Madrid will be against the Dutch champions Ajax, at the Santiago Bernabéu, for the UEFA Champions League final group fixture, next Tuesday (04-12-2012). You can watch Juventus live stream, Real Madrid vs Ajax, PSG vs FC Porto, Borussia Dortmund vs Manchester City, and Olympiakos vs Arsenal, all matches provided from our soccer live section.